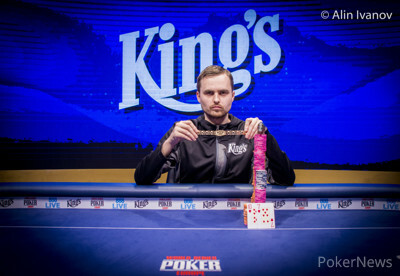 The third of eleven golden bracelets was awarded at the 2017 World Series of Poker Europe at the King's Casino in Rozvadov and it was Czech poker pro and grand master of table talk Martin Kabrhel who claimed the title, his first WSOP bracelet and payday of €53,557 for his efforts in the inaugural €1,100 No-Limit Holdem Turbo Bounty Hunter Event #3. 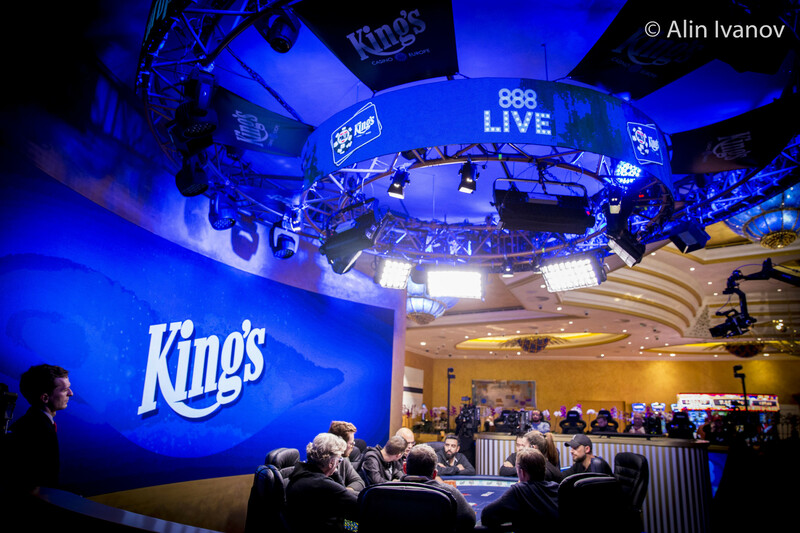 While the nine-handed final table was set at 1 a.m. local time and the first eliminations came in quickly, the final river card only fell after 5 a.m. local time with a happy Kabrhel and a happy hippo card protector. “Can we just stay like this? It won't take long,” Kabrhel said right away before the duel for the elusive bracelet against Philipp Caranica got underway and indeed the stacks went into the middle a few hands in. Kabrhel's pocket sevens were ahead until the river, but Caranica got there with his ace-queen to hit a straight. What followed were several double ups and it took more than 50 hands of heads-up to determine a champion. The King's Casino in Rozvadov is a second home to the Czech: “It is a great poker room, the final table at the venue here is beautiful. I play 90% of my poker at King's and I won two Circuit Rings here.” Up next for Kabrhel is “a really nice sleep” and likely some celebration after. When asked which events he will play for the remainder of the WSOPE festival, Kabrhel added: “I will play whatever I have time for, but probably like all the bracelet events which I can catch and I look forward to the Main Event and One Drop." As for Caranica, the German had to settle for second place and a consolation prize of €33,094. Caranica was railed by Nico Ehlers, who also ended runner-up just a few hours prior in the €550 Pot-Limit Omaha Event #2. Caranica was not intimidated by the table talk of Kabrhel and both joked back and forth until a winner was crowned. After ten levels of 20 minutes each, the registration closed with a total of 325 entries including 92 re-entries, and a prize pool of €214,337 emerged with the top 49 spots earning a share of it. Until the dinner break, fewer than one third of the field remained and the eliminations continued to happen at a lighting-fast speed. Such big names as two-time bracelet winner Barny Boatman, Maxim Lykov, MONSTER STACK finalist Ismael Bojang and Jeff Lisandro were already on the rail. They were soon joined by Michael Eiler, Sam Grafton, James Akenhead, Eddy Scharf and Ryan Hughes. The last player to leave empty-handed was Viacheslav Goryachev, who moved all in from the cutoff with ace-jack. Jan Mach on the button and Bernd Gleissner in the big blind called, and Mach's bet on the turn with queen-jack for top pair forced out Gleissner. Goryachev had a gutshot still, but the river was a blank. Among those to bust as soon as the bubble burst were Vivian Saliba, Yehuda Cohen and Teunis Kooij. Chris Ferguson locked up another cash in his bid to win the 2017 WSOP Player of the Year race and he was eliminated in 36th place after shoving nine-seven suited into the ace-four of Mike Leah. Fellow Canadian Kristen Bicknell also sent her chips over to Leah soon after and it wouldn't take long to set up the last three tables. Brandon Cantu bowed out in 24th place and Felipe Ramos followed when losing a flip with pocket tens versus ace-king. 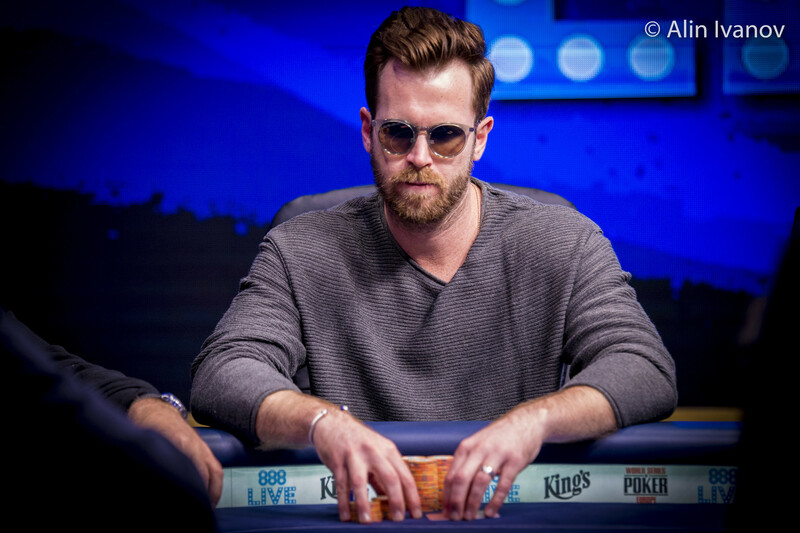 Irish poker pro Marc MacDonnell, who finished 4th in the $1,500 Millionaire Maker (Event #20) this summer in Las Vegas, came up short of the final table this time and finished in 19th place. Robert Auer moved all in over the top of a shove by Martin Kabrhel with pocket jacks and Philipp Caranica looked both up with pocket kings. Kabrhel's ace-king struck gold with the nut straight and the Czech jumped into a big stack on the last two tables. Dominik Desset already reached a final table at the King's Casino not long ago, but this time he had to settle for 14th place. His ace-five had the slightly inferior kicker to the ace-six suited of Liran Twito and the board changed nothing whatsoever. Jan Mach was the next to fall when his big three-bet jam with pocket eights was picked up by Philipp Caranica with pocket tens and Mach was drawing dead on the turn. Tobias Schaaf was the next to fall and almost at the same time on the other table, Phil Hellmuth's bid to further build his legacy with a 15th bracelet came to an end. 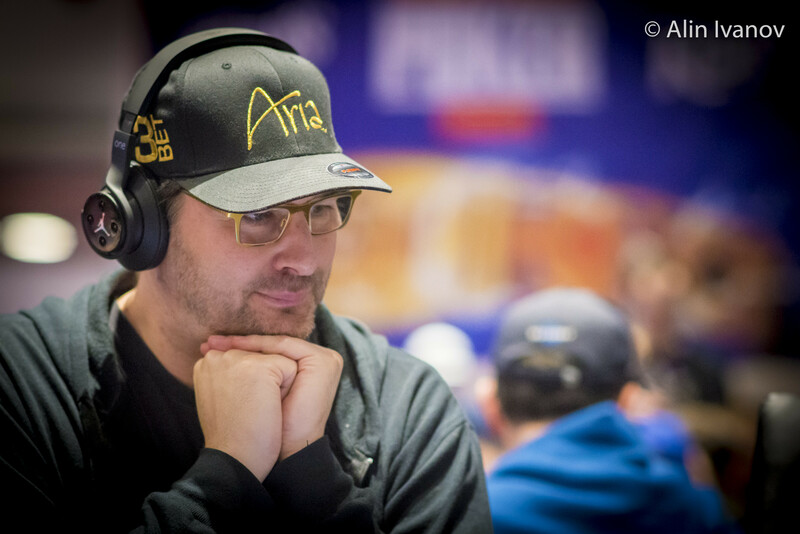 Hellmuth's ace-deuce ended up second best to the pocket kings of John Racener and both had the exact same stack size to see the Poker Brat take 11th place. 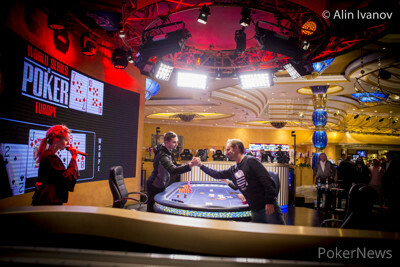 Mike Leah took two hits to bubble the official live-streamed final table when losing with pocket queens to ace-nine and ace-queen versus king-queen suited to set up the following final table. It took only two hands for the first player to join the rail. Viktor Kovachev was the shortest stack among the final nine and his queen-jack stood no chance against the ace-jack of Philipp Caranica. 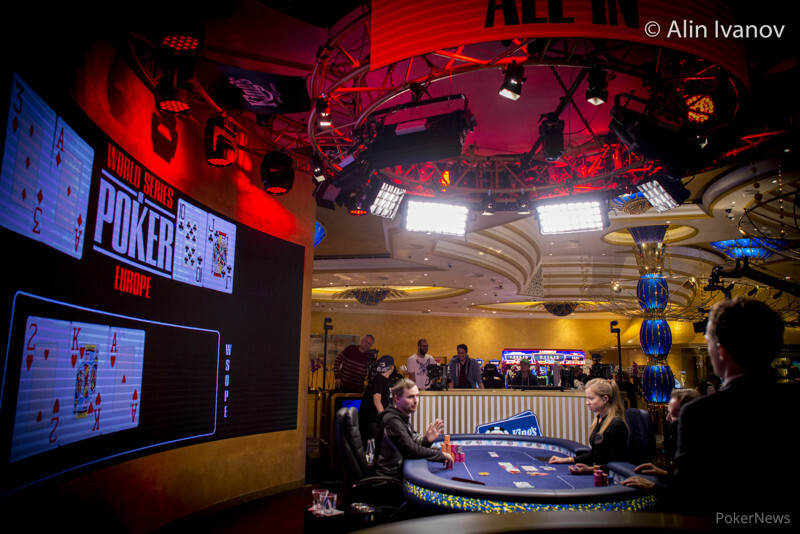 In hand #4 of the official final table, Georgios Koliofotis jammed with a gutshot on a three-way flop and Liran Twito reshoved with king-nine for top pair to see the turn and river brick off. 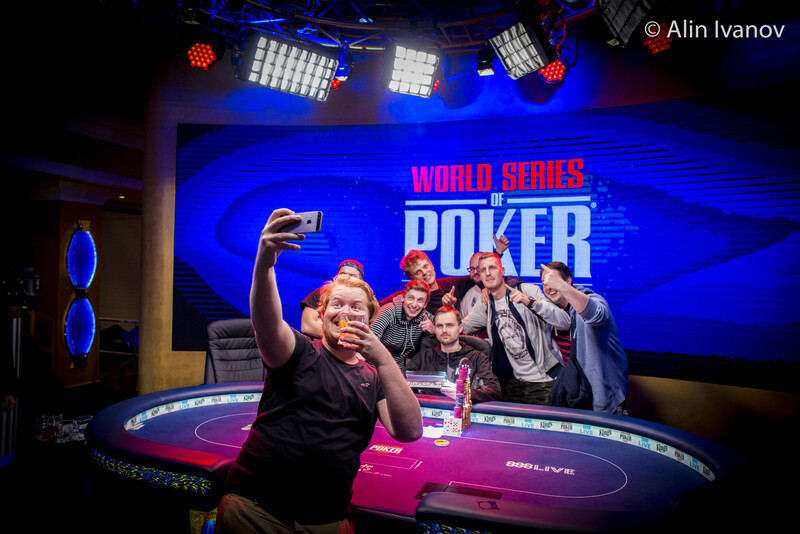 While Caranica dominated the early stages of final table and built his lead after an ill-timed bluff of Martin Kabrhel, it was the Czech that was responsible for eliminating all remaining opponents on his way to the maiden WSOP bracelet. A short-stacked Bernd Gleissner was his first victim with ten-eight and Kabrhel's pocket tens had no reason to worry. The shove of Yves Kupfermunz with ace-eight was called by John Racener with king-queen and and Kabrhel called in the big blind with ace-ten. The remaining two aces in the deck showed up on the flop and turn, and Kabrhel's kicker suddenly reduced the field to the last four. Racener fell short of claiming his second career-bracelet in 2017, but picked up vital points for the 2017 WSOP Player of the Year race. Liran Twito's queen-jack were dominated by the ace-queen of Kabrhel in hand #25 and a king-high board provided no held for the player from Israel, who recorded his first-ever WSOP cash. Only six hands later, there were just two hopefuls remaining as the shove of Salvatore Camarda with nine-four off suit for bottom pair on an ace-high river was snap-called by Kabrhel with two pair. Both Kabrhel and Caranica had their hands on the bracelet already, but after more than 50 hands of heads up and several double ups, it was Kabrhel that ended up victorious. Kabrhel shoved with ten-seven suited and Caranica called with ace-six suited. A jack-high board provided a runner-runner straight for Kabrhel and the bracelet remained on home soil. The next chance for players to win a bracelet already kicks off on Thursday, October 26th as of 3 p.m. local time with Day 1 of the €1,650 No-Limit Hold'em 6-Handed Event #4. Late registration remains open until the start of Day 2 the very next day and the PokerNews live reporting team will be on the floor to provide all the action. Hand #89: Martin Kabrhel shoved all in and was called by Philipp Caranica with the shorter stack. The flop came - Caranica was still good for now as Kabrhel needed a ten or seven to eliminate them. The turn brought the , Kabrhel now had the eights as extra outs to be crowned the winner as there was now also a straight draw. The on the river was exactly that what Kabrhel needed and he hit his backdoor straight draw. Caranica was eliminated and the last bounty went to Kabrhel. Hand #86: Martin Kabrhel received a walk. Hand #87: Kabrhel limped in and Philipp Caranica shoved the to win the pot. Hand #88: Carania limped in with the and Kabrhel raised to 565,000 with to shut down all further action. Right after, players agreed to take a short break. Hand #80: Martin Kabrhel got a walk. Hand #81: Kabrhel had and completed. Philipp Caranica checked with his . The flop came , Caranica check-shoved to the 200,000 bet of Kabrhel. Kabrhel looking at his hand again and folded. Hand #82: Caranica shoved and Kabrhel folded. Hand #83: Kabrhel raised to 1,000,000 with , Caranica shoved all in with and Kabrhel called. The flop came - Kabrhel hit his queen for two pair, queens and eights. the on the turn didn't change this, and the on the river ensured that Kabrhel doubled up. Hand #84: Caranica limped with , Kabrhel checked with . The flop came , Kabrhel check-called the 200,000 bet of Caranica. The came on the turn, now Kabrhel checked again. Caranica bet 550,000, Kabrhel shoved and Caranica folded. Hand #85: Kabrhel limped with . Caranica checked with . The flop came , Caranica checked, Kabrhel continued betting and Caranica folded. Hand #76: Martin Kabrhel received a walk. Hand #77: Kabrhel limped with the and Philipp Caranica shoved with to win the hand right there. Hand #78: Kabrhel received another walk. Hand #79: Kabrhel min-raised to 400,000 with and Caranica defended the . The flop came and both players checked. On the turn, Caranica bet his top pair and Kabrhel folded. Hand #71: Martin Kabrhel completed from the small blind with . Philipp Caranica shoved with and Kabrhel folded. Hand #72: Kabrhel got a walk. Hand #73: Kabrhel shoved with and Caranica folded. Hand #74: Caranica completed with . Kabrhel found in his hand and shoved. Caranica folded. Hand #75: Kabrhel found and he raised to 400,000. Caranica had and shoved. Kabrhel folded. Hand #66: Philipp Caranica moved all in with the and Martin Kabrhel folded . Hand #67: Kabrhel moved all in and Caranica called. The board came and Caranica doubled for 1,810,000, regaining a narrow lead. Hand #68: Caranica shoved the and Kabrhel folded . Hand #69: Caranica received a walk. Hand #70: Caranica raised to 320,000 with and Kabrhel foled the .